ANI. The India all-rounder and former PWI captain was at his ebullient self at the Subrata Roy Sahara stadium, trading hugs with teammates, breaking into smiles when Deccan Chargers players walked across the greet him and talking into TV microphones. The sparkle in his eyes and body language reflected the fighter on the field. He got a feel of some batting, lazily swinging at balls bounced to him at the crease, after PWI had finished its pre-match routine and retired to the dressing room to tune up for the night's game. The cricketer, who is recovering from a rare germ cell cancer between his lungs, even went to the middle to pick up a bat and play a couple of strokes. Yuvraj, who returned to the country earlier this month after treatment in the United States for more than two months, was seen waving to the crowd and talking to his teammates. Later, he enjoyed his side’s match against Deccan Chargers from the dug out. The player of the tournament of 2011 World Cup, Yuvraj, last played in the Eden Gandens Test against West Indies, in November 2011. 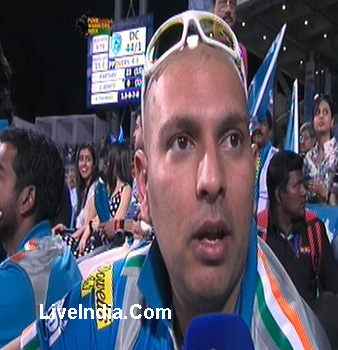 Yuvraj admitted that he was enjoying every moment in the middle. “I am really happy to be back in a cricket stadium. Being in the ground obviously makes me feel better. I came here yesterday. Met a lot of people… Met all my friends. I feel very special today,” he said. “I wanted to go and take guard but I was happy to hit a few balls and see my team-mates… speak to them. I am happy to see my friends and of course, the crowd. It’s nice to be back among my teammates and friends. 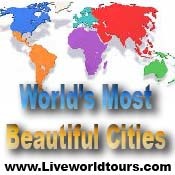 I’m loving every moment I am spending here,” he added. He was emotional when he spoke about his fight against cancer. “First, when I got diagnosed, it was hard for me to digest that I had cancer. But that’s the way life is. I was on a high with the World Cup win and wanted to peak from there… Unfortunately, my health wasn’t great. But I’ve fought a tough battle, it’s been gruelling for me and my family,” the left-hander said. “I’ve had a lot of support, a lot of love and affection. I want to thank the fans, friends and the BCCI for their support. If you have your family’s support it helps. I had support from the nation. “My father was always there encouraging me over the phone. But mother was like a pillar... She was the strongest. She kept encouraging me. She treated me like a two-year-old child. She and my Guruji are the biggest reasons why I’m still here,” he added. He said he was hoping to make a return to the middle soon. “I was far away from home. I had nothing much to do after the treatment. Chemotherapy is tough on the body, but I was positive. It’s great to be back home and at the moment, I am fine. And, hopefully, I can return soon. I can’t say a time (when he’ll come back). May be… two or three months. Depends on my body. But, I want to come back fast. “I’m starting to feel better, eating a lot of organic food. Doesn’t taste good but I have to eat it. I’m starting to walk more,” he added. 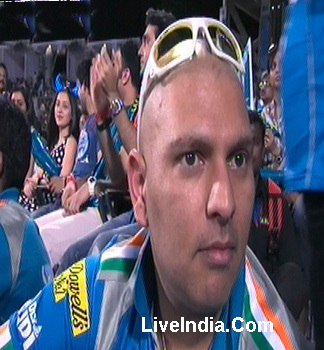 Yuvraj had some encouraging words to share with the people who are suffering from cancer. “I would like to say to all the people going through it... Be positive, be strong... You will be able to overcome it,” he said. He said support from his friends and near ones kept him going. “All my close friends and dear ones came over to the US during the treatment. Anil Kumble was there… Ranvijay (Singh Singha) came over… Met Sachin in London… I always had friends around me… They were taking care of me. “I was like a two-year-old... I couldn’t even get up and pick up a pen… or open my computer. Some days were as bad… I had a lot of support. It’s the prayers from my country-men that brought me back,” Yuvraj said. During the treatment he had twitted how Lance Armstrong inspired to fight on. Armstrong, who survived testicular cancer, even wrote to him. Yuvraj said he was his real-life hero. “Lance Armstrong is a great man and an absolute inspiration. His cancer was much worse than what I had. Coming back from cancer and winning seven Tour de France titles was incredible. For me, he is a real-life hero ,” he said. On Pune Warriors, he said: “The team is playing well. Dada (Sourav Ganguly) is leading the team well. Bad news for Indian cricket fans as dashing all-rounder Yuvraj Singh, India's man of the World Cup tournament, has been diagnosed with cancer. Doctors involved in the treatment of Yuvraj Singh have confirmed that the cricketer has been diagnosed with cancer and is undergoing chemotherapy in the USA. “It is not lung cancer. It is a rare tumour which forms less than one per cent of cancers,” Dr. Rohatgi said at a press conference here. Dr. Hooda said the disease was “over 95 per cent curable” and the exact cause of it was not known. The doctors and Yuvraj's family, through his spokesperson, pleaded with mediapersons to respect their privacy. They made it clear that details of Yuvraj's illness and location of his treatment, supported by the Board of Control for Cricket in India (BCCI), would not be revealed anymore. Meanwhile, BCCI Secretary Sanjay Jagdale said in a release that the Board had been in touch with Yuvraj's family members. “His family values the affection and concern the media has for Yuvraj. The Board would like to appeal to the media to respect the privacy of Yuvraj and his family members at this critical juncture. Periodic media releases regarding his health status will be issued by the BCCI,” Jagdale said. The ace cricketer had contacted Dr. Rohatgi and his hospital in mid-January. “Since our meeting we have been coordinating his present treatment and will continue close follow-up,” Dr. Rohatgi read out from a statement. “On Wednesday, Yuvraj will begin the third of his nine weeks of chemotherapy in the USA. As expected, in the first few days Yuvraj did not feel very good, he felt nauseous, but starting this week he will be hopefully on the mend. Yuvraj has shown tremendous courage and kept his spirits high all this while. 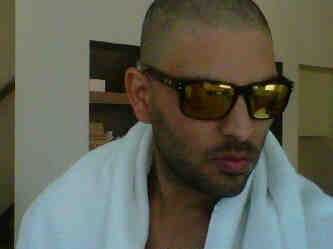 “The chemotherapy has been planned, to ensure that Yuvraj can return to full fitness and readiness for cricket. Yuvraj should be able to start active training in about 10 weeks. I feel that Yuvraj the person will be cured of this cancer and most likely Yuvraj the cricketer will return with the same fervour that he had when he left. Hopefully, he would be on the field by first week of May,” said Dr. Rohatgi. Shaan: Yuvraj Singh will come back stronger, more determined and reach greater Heights... A special prayer for his quick and complete recovery!!! Here`s wishing Yuvraj Singh a speedy & complete recovery. On a good day there are few cricketers more exciting than him. Very upset to hear about Yuvraj! Let's pray for his recovery. I know he's a fighter and he'll win this match. Heard about Yuvraj Singh`s ill health. Hope he recovers soon. Prayers wid him n his family. Here`s wishing him all d best. Kiran Mazumdar Shaw, entrepreneur: I wish Yuvraj Singh a speedy recovery.